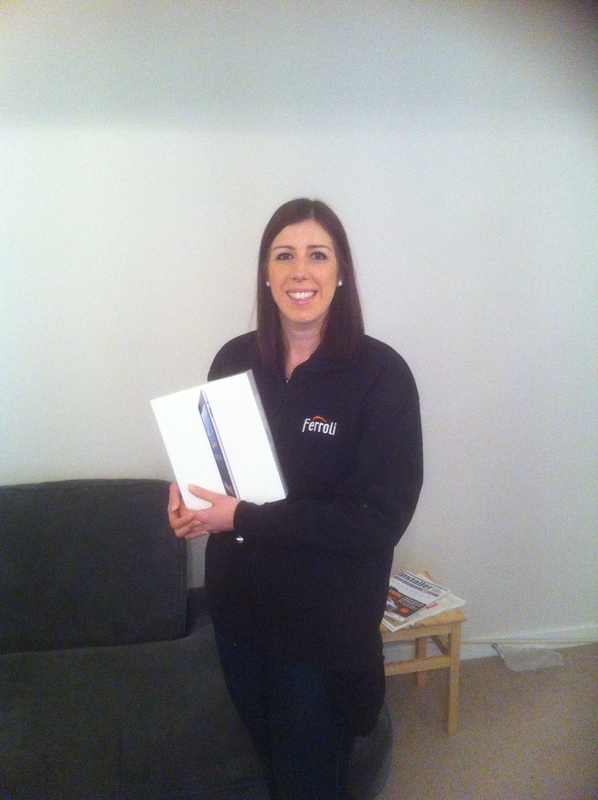 Thanks to each and every one of our new Twitter followers, the response to our Win an iPad competition was fantastic. But there can only be one winner and that was… John Mac Heating of Watford! John and Abbie McEneaney were thrilled to get a visit from Ferroli’s own Craig Worth bearing their prize. Make sure you keep following us on Twitter for news on the incomparable high efficiency Ferroli Modena HE boiler, how to cut fuel bills and save energy and keep abreast of industry news.